…and then the dream within the dream, it chased the shadows, then loved serene. Knowledged humans believed in weak, they twisted silence beyond the meek, the ego leapt, only itself to keep. And then one night when all was still, the breathing throbbed the dream was killed. A soul it silenced no word need speak, no dream of dream was there to seek. 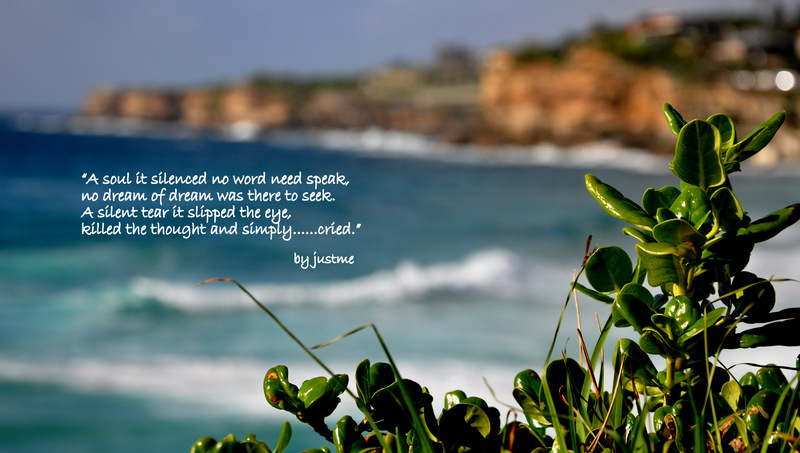 A silent tear it slipped the eye, killed the thought, and simply….cried. The heavens opened and earth it held, the voice inside neither laughed or yelled, but within that moment all was clear, no more strangers, all now are near. Brother, sister was no more, silence thundered as a mighty roar… and as moment danced, it dance with joy, opinion gone, no more they cry. This entry was posted in JustMeditation, JustWritings, Presence and tagged awareness, division, Dream, duality, ego, Illusion, joy, Present Moment, Sadness by Michaela. Bookmark the permalink.